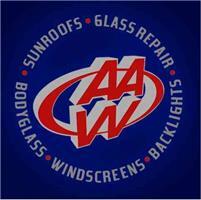 AAW (Windscreens) Ltd - Advanced Autoglazing Work - Garage/Vehicle Services based in Poole, Dorset. Offering the highest quality automotive glazing services within the Dorset and Hampshire area since 1982, we are proud of the reputation we have built for outstanding levels of service and workmanship. Our mobile technicians can repair or replace your damaged glass at a time and place to suit you as well as deal with any insurance paperwork on your behalf. We are approved and recommended contractors to many prestigious motor manufacturer dealerships locally, including Mercedes,Audi,BMW,Volkswagon,Toyota,Honda and Nissan so you can be assured we have the latest product knowledge and the expertise to offer you an exceptional standard of work. Our technicians have upward of 18 years experience each, have achieved level 2 NVQ qualifications in Automotive Glazing and use only the latest working methods and materials for complete customer safety and satisfaction. We offer a complete range of flush fitting bonded windows for most modern panel vans in different options.You can choose from fixed or opening side windows in privacy or standard factory (OEM) tint.As you would expect they are all fitted to the highest standard and guaranteed for 5 years. By operating efficiently and keeping overheads low we are able to reduce costs but not our standards, this means we offer our customers excellent value for money with no compromise on quality. Credit card, cheques and cash. Account facilities can be arranged for businesses requiring regular trading.